“Sunday” is quite the misnomer. My understanding of Sunday School is that the best Sunday School happens after noon on Sundays and continues through late Saturday night six days later. As I’ve told training conference attendees before, “There isn’t anything ‘Sunday’ about Sunday School done right.” Sunday School done right is a 24/7 ministry that should find group members engaging with one another and their communities weekly. “School” also may not have quite the right connotation about what happens in many Bible study groups. School is a term that may conjure up images of boring times, uninteresting subject matter, and teachers who didn’t “get us.” In many Sunday School groups, the teaching is discussion-centered and learner-centric. It is a far cry from the mental image some people have about Sunday School. Contacting every absentee each week. If Sunday School is only about Sunday, I believe it will struggle to be attractive to current and new members of our churches. It can be so much more than an hour of Bible study before or after the morning worship service. If, however, we take the “Sunday” out of Sunday School, it will become a vital part of who we are as the body of Christ. If we make Sunday School a true 24/7 ministry, its best days are still ahead. 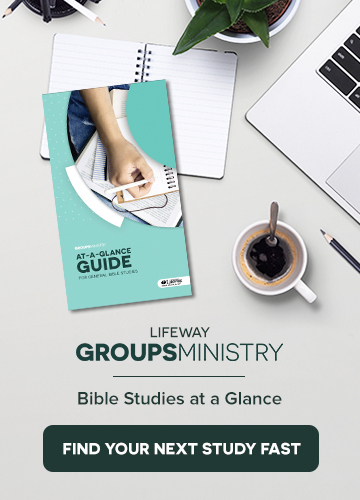 Ken Braddy manages LifeWay’s ongoing adult Bible studies and is a 20+ year veteran in Sunday School ministry. His new book, Breathing Life Into Sunday School, releases in April 2019. Please enjoy this replay of our recent webinar: Effective Small Groups in the Modern Church. Mother’s Day. It’s almost a sacred institution in our culture. If you think I’m exaggerating, ask any preacher who’s ever failed to preach on the topic or have a Mother’s Day emphasis on the second Sunday of May. Those who grieve over what once was. Many people still feel the pain of the death of a mother or a child. Acknowledge the hurt. Most of those struggling with painful emotions on Mother’s Day do so in silence. They endure the emphasis during a worship service, but it’s not easy. Let’s be open and acknowledge that many of us feel pain when we talk about motherhood. People are encouraged when they don’t feel forgotten or overlooked. Avoid overstating the worth of mothers. I’d better explain that. Mothers are important. The Bible is clear on the importance of the family, and its pivotal role in all our lives. But consider the message we send when we make motherhood the greatest task a woman can undertake. For those women whom God has not blessed with children, they can be made to feel they have no worth. For women who’ve lost a child through miscarriage or death, they can be led to think their worth has been taken from them. Make this Mother’s Day a day that honors Christ in the way we both honor mothers and love those who are hurt. Lynn Pryor is a team leader for adult resources at LifeWay. He serves a Nashville church as their transitional interim pastor. Lynn and his wife, Mary, have survived raising two sons to adulthood. A graduate of Southwestern Seminary, Lynn has previously pastored and served churches in Texas. Read more from his blog at lynnhpryor.com.